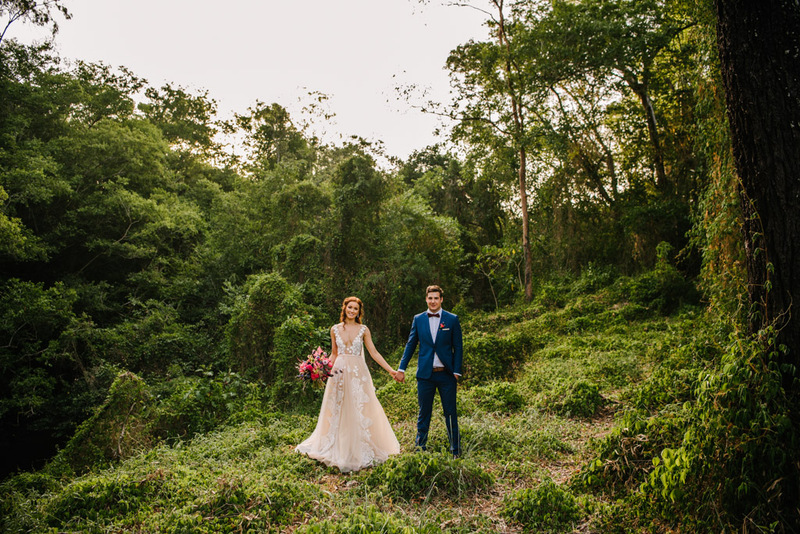 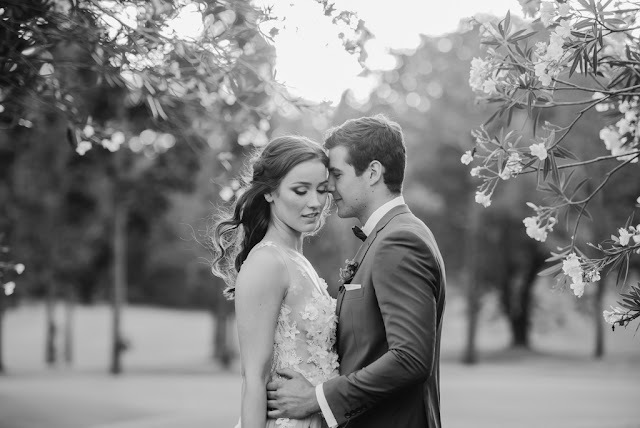 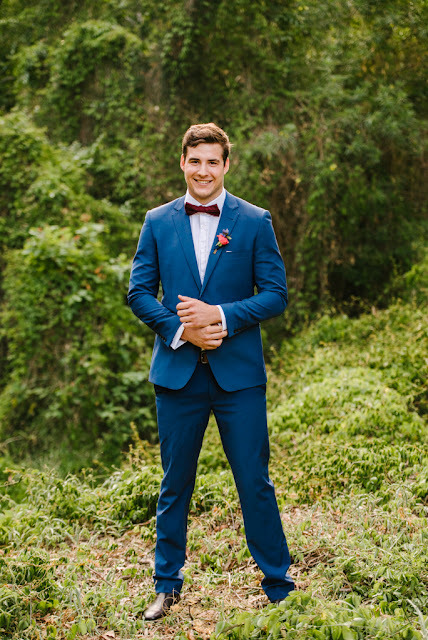 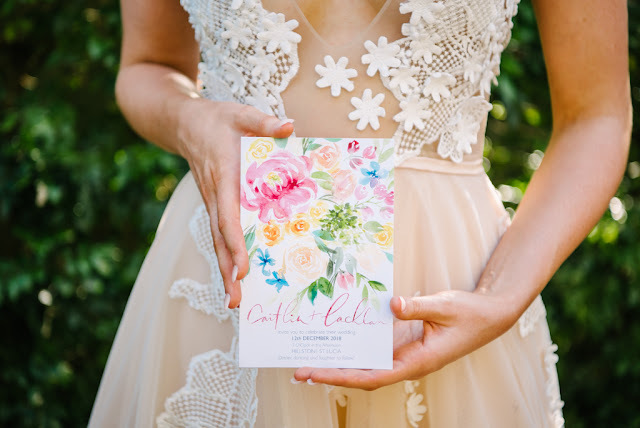 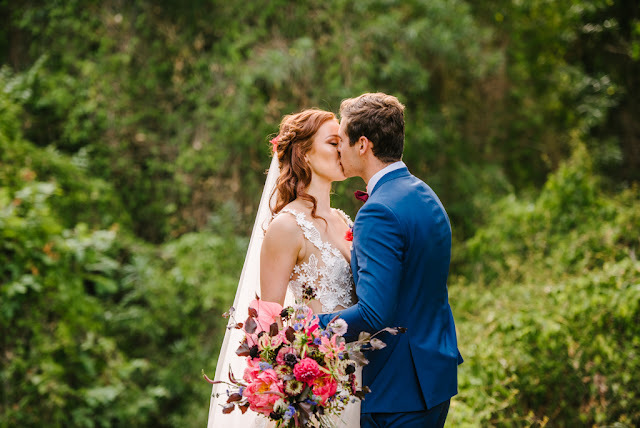 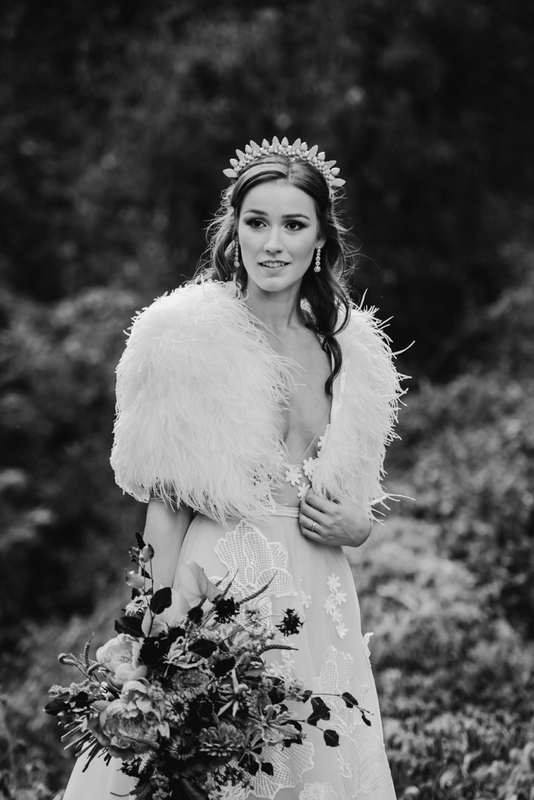 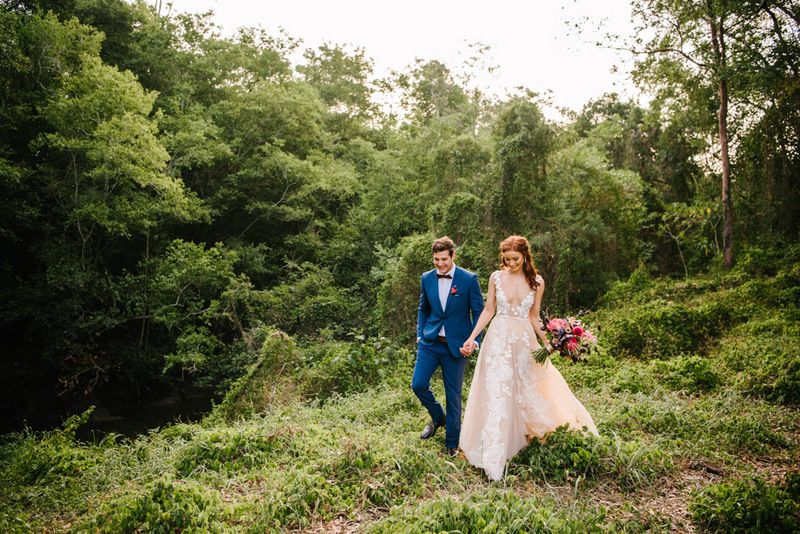 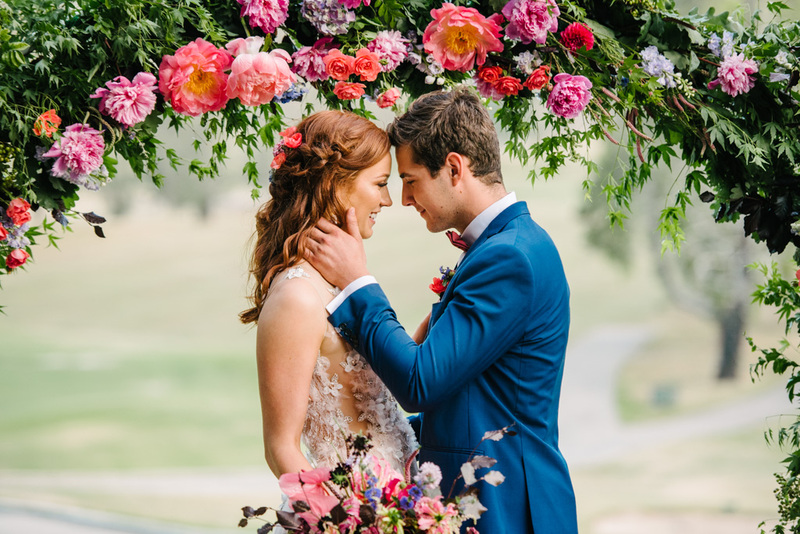 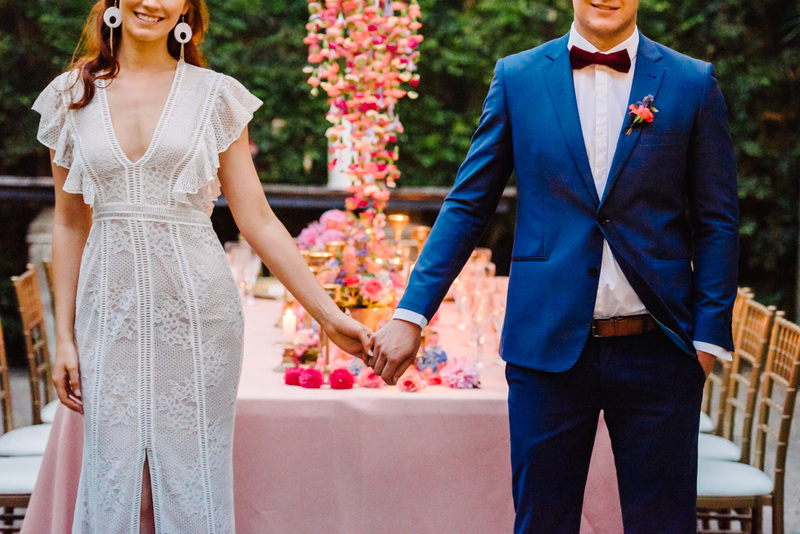 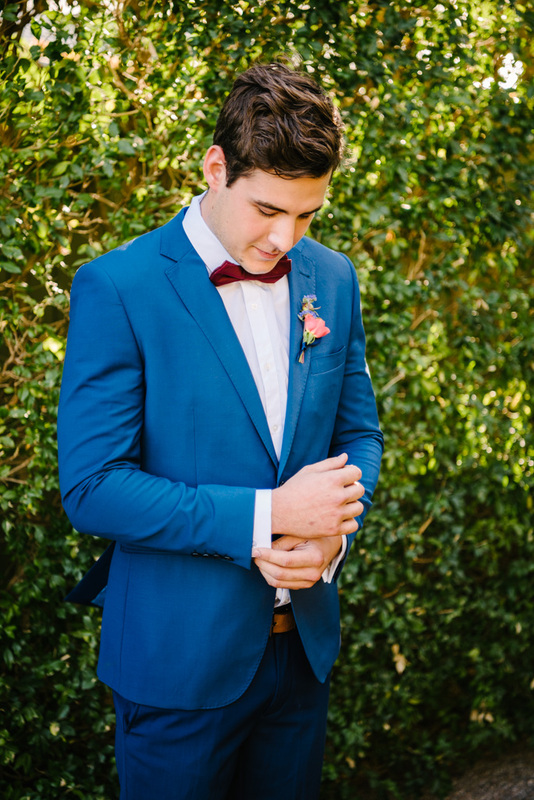 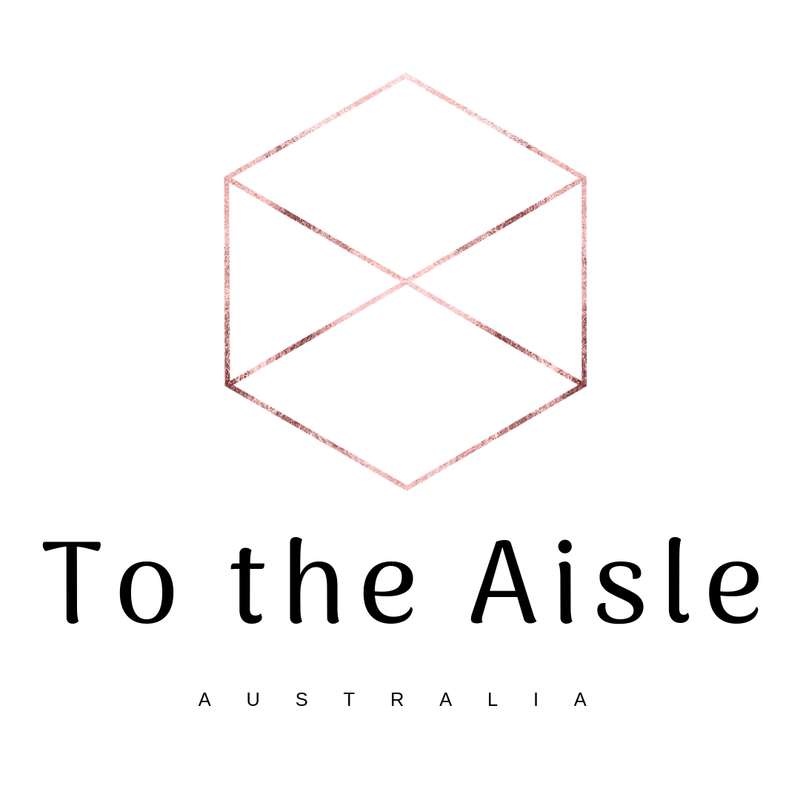 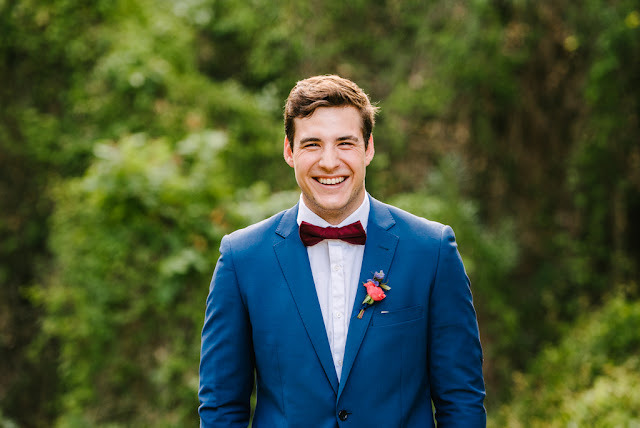 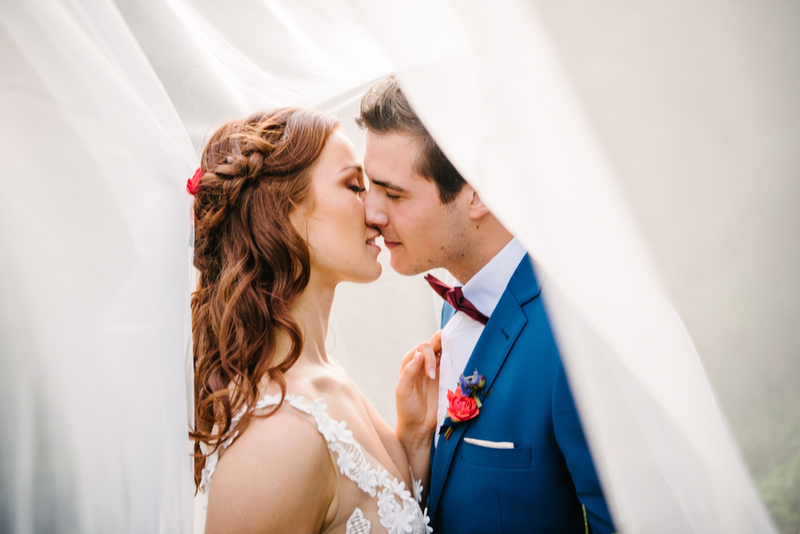 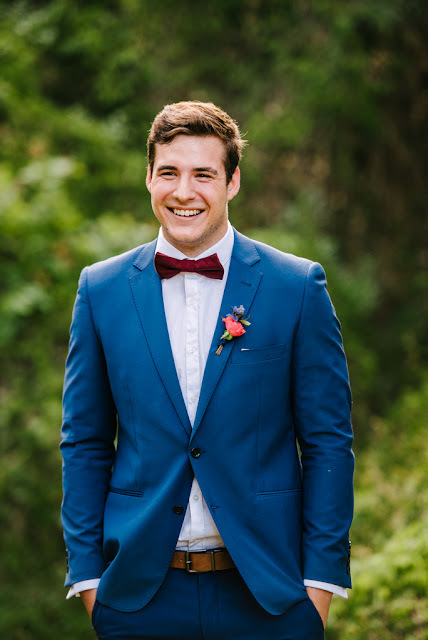 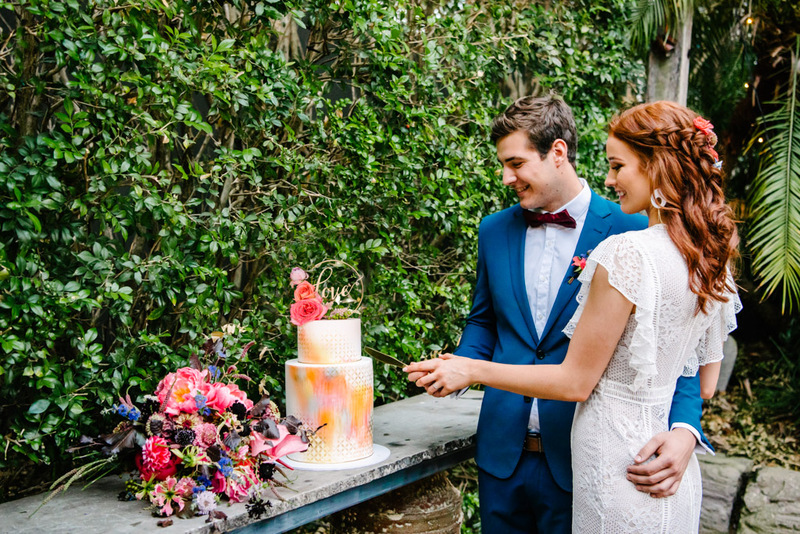 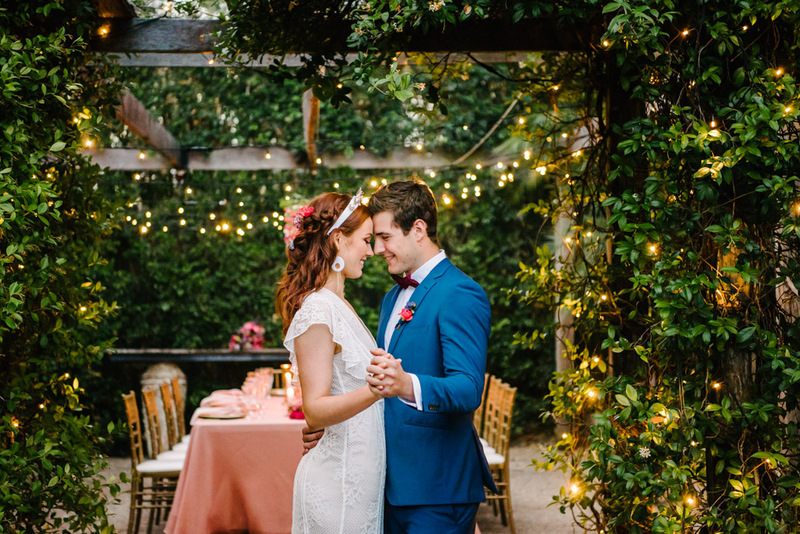 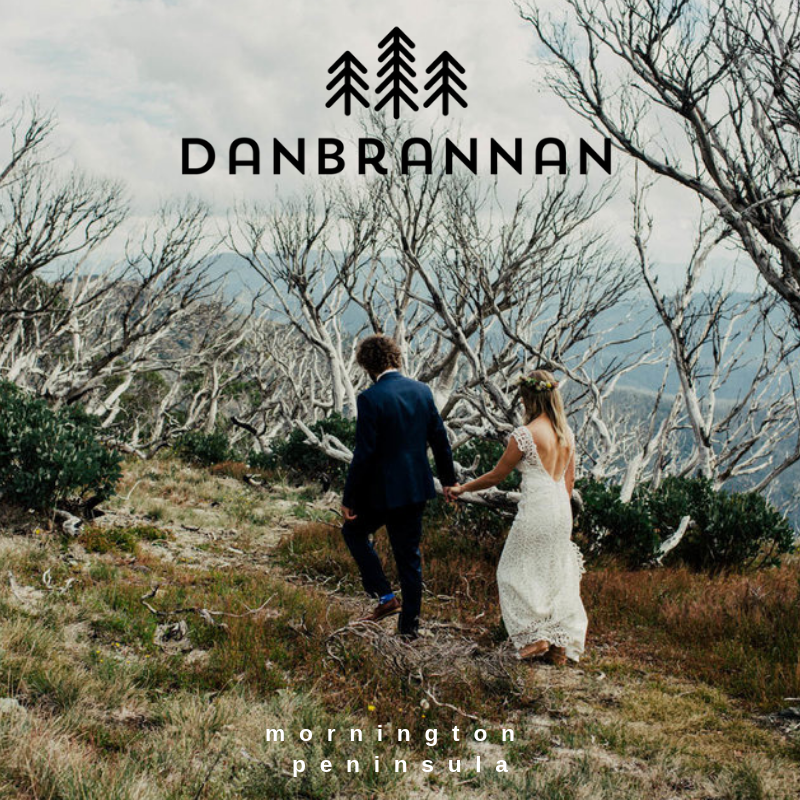 Real couple Caitlin and Lachlan were part of this whimsical styled wedding adorned in colour. 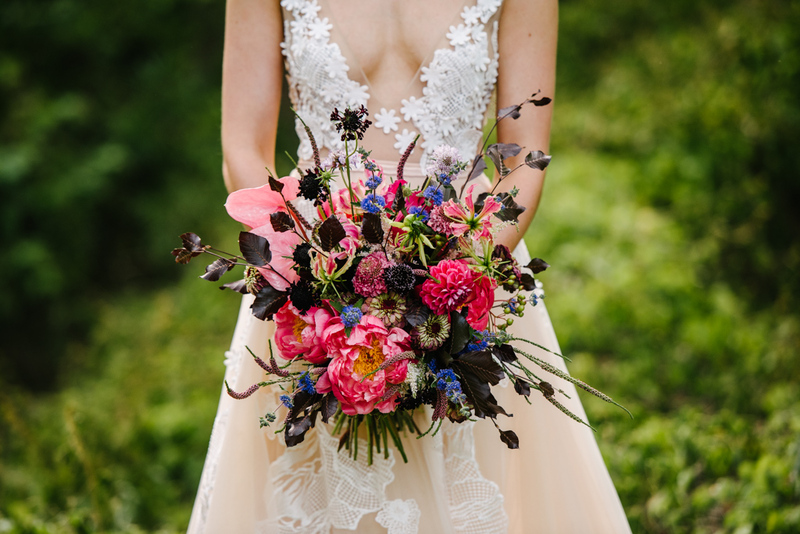 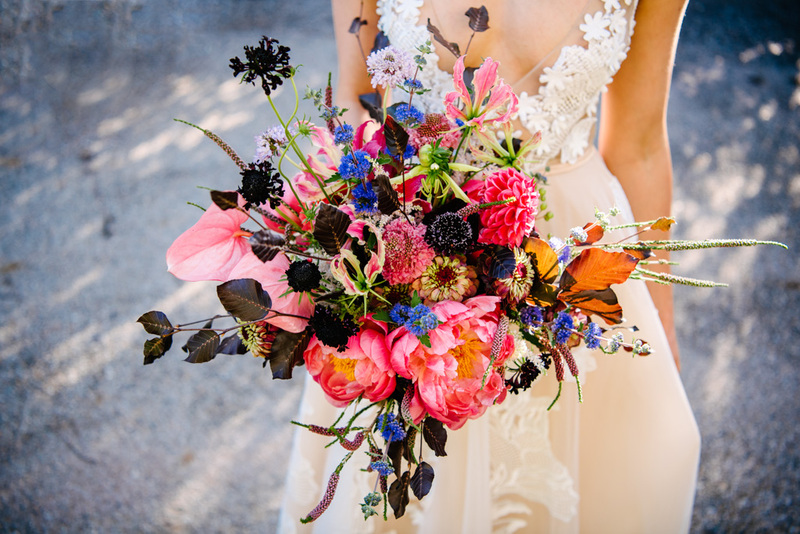 Sorbet tones of corals, pinks and oranges with pops of purple were showcased in the bridal bouquet. 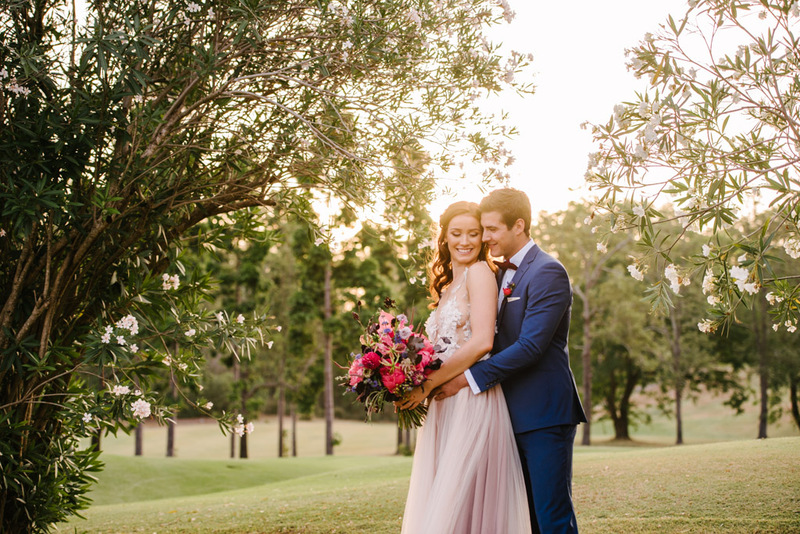 The blooms complimented the ever so elegant and feminine gown in neutral tones and the bright navy suit stood confidently amongst the pops of colour. 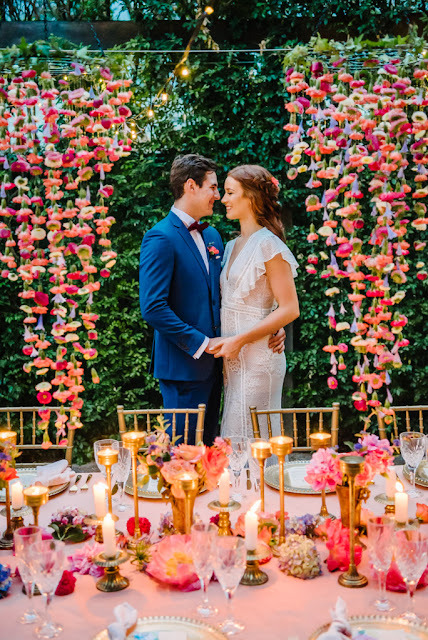 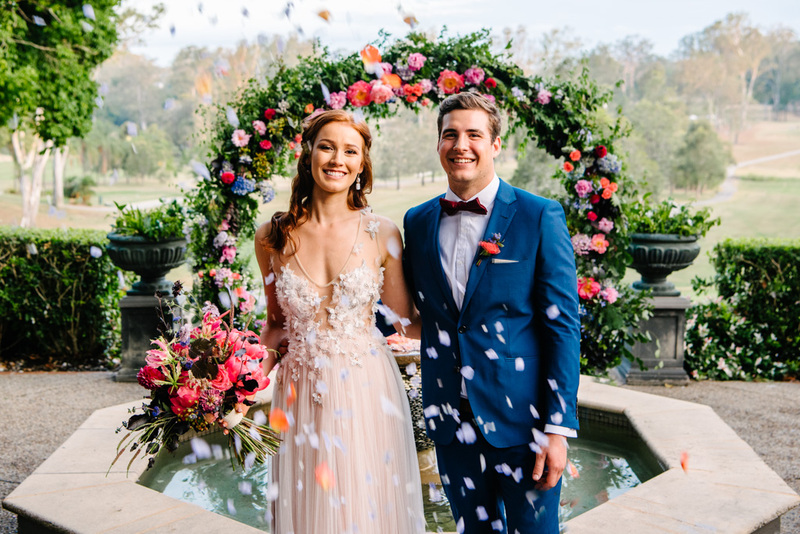 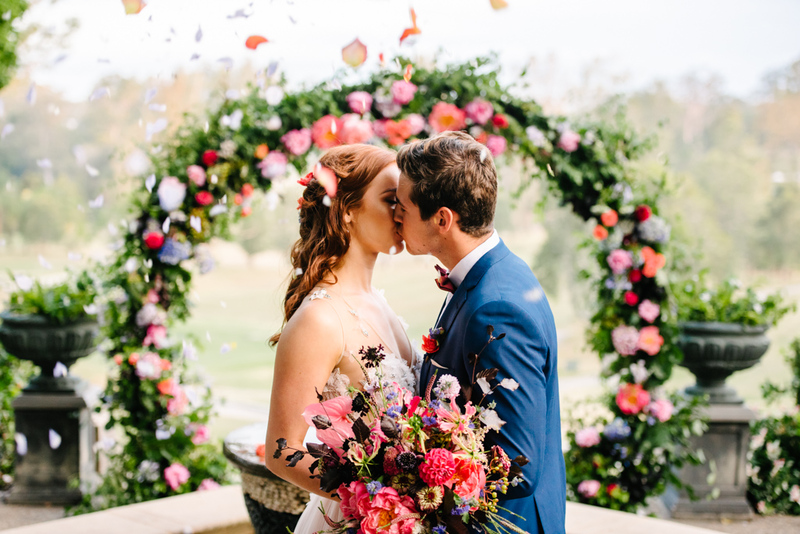 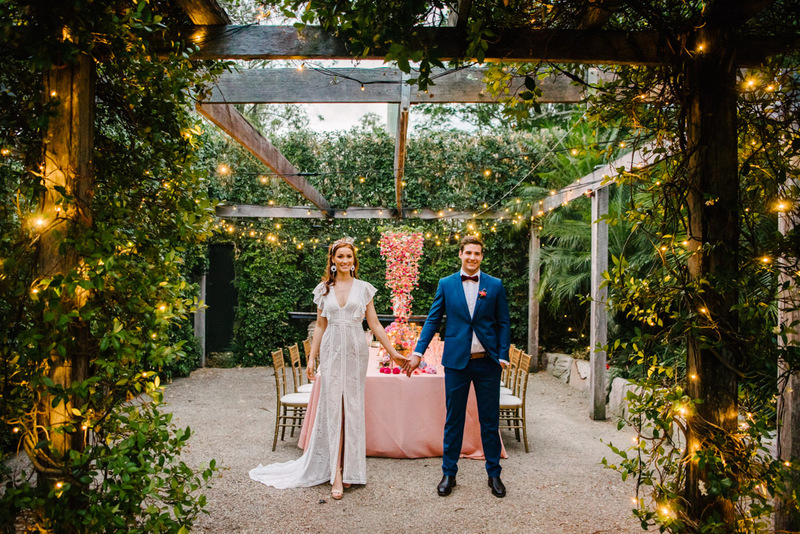 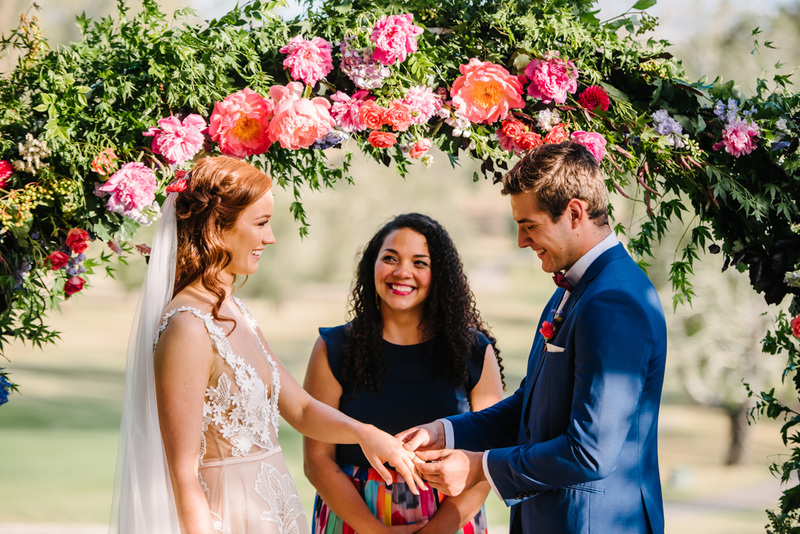 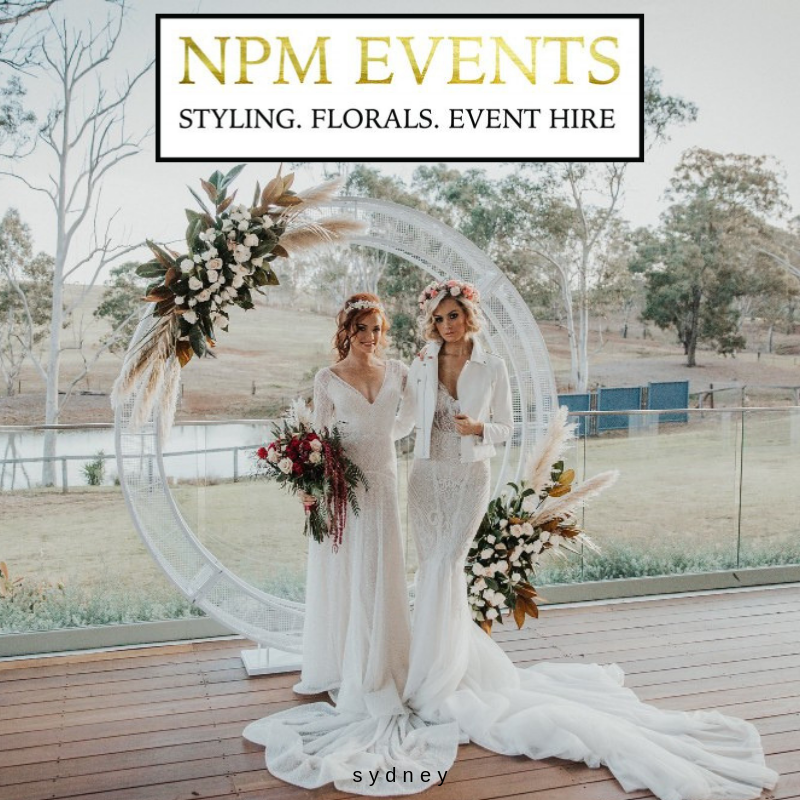 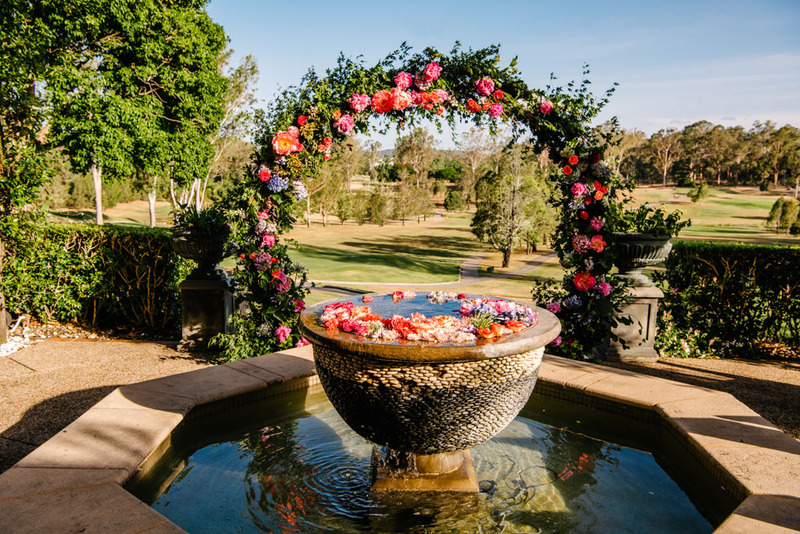 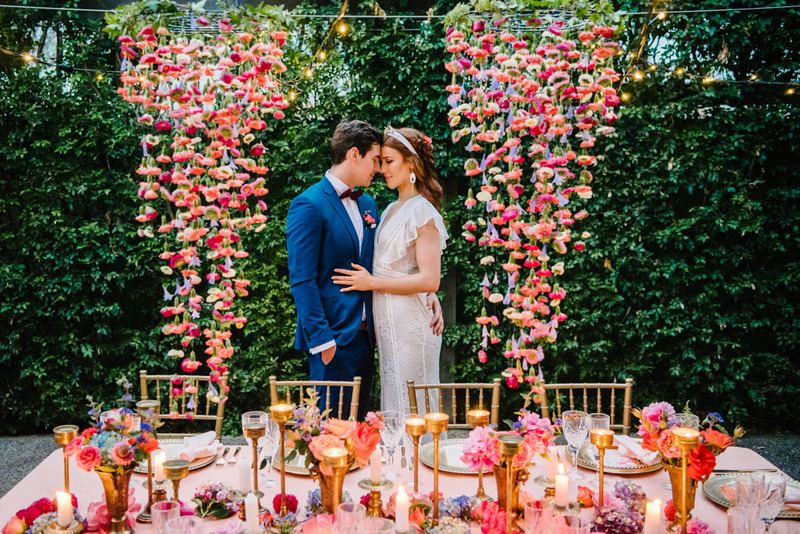 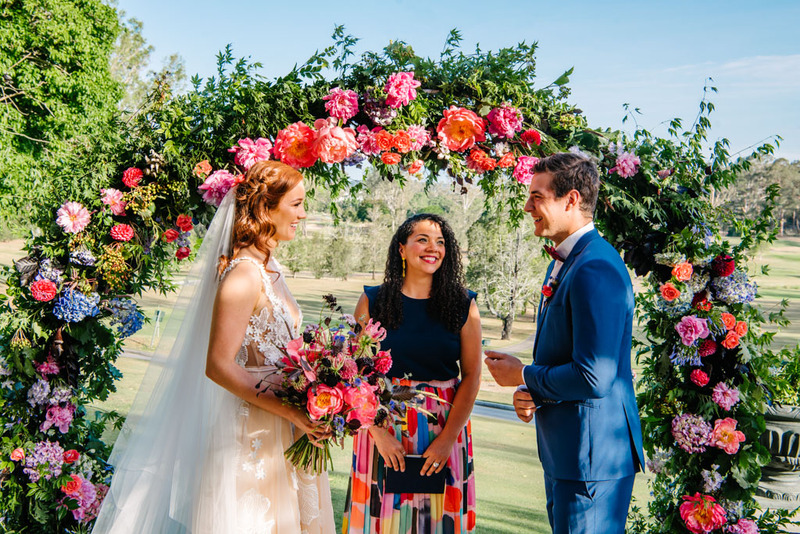 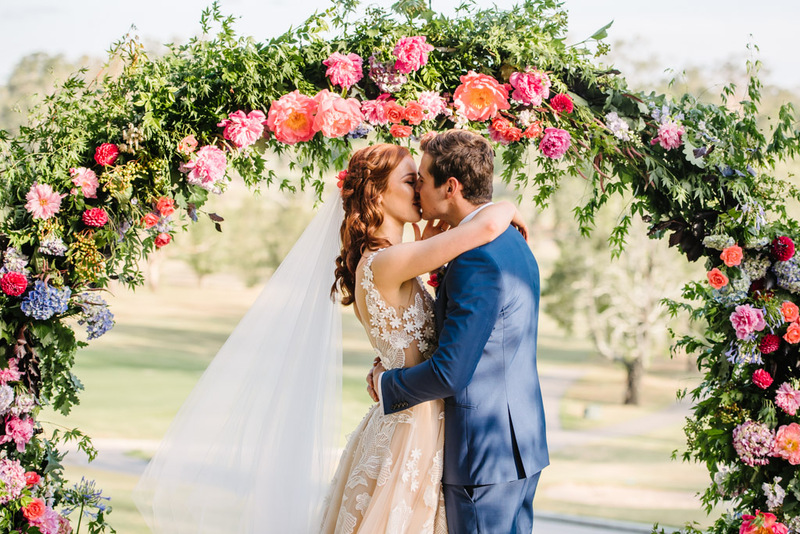 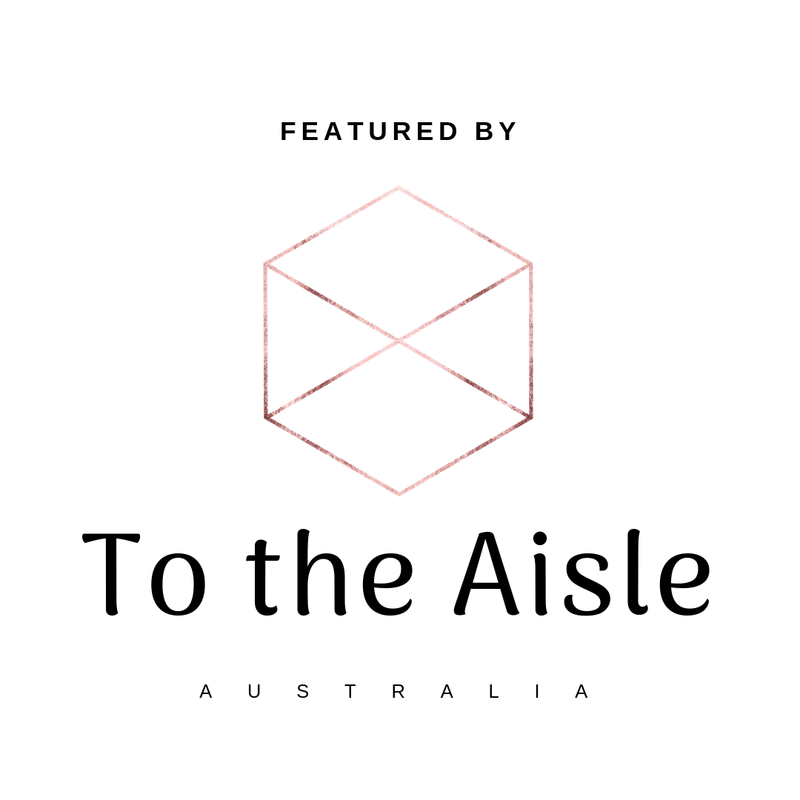 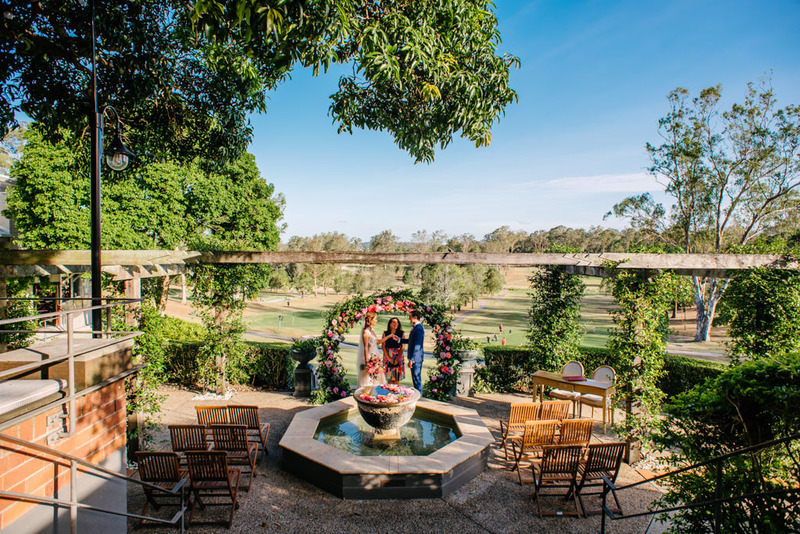 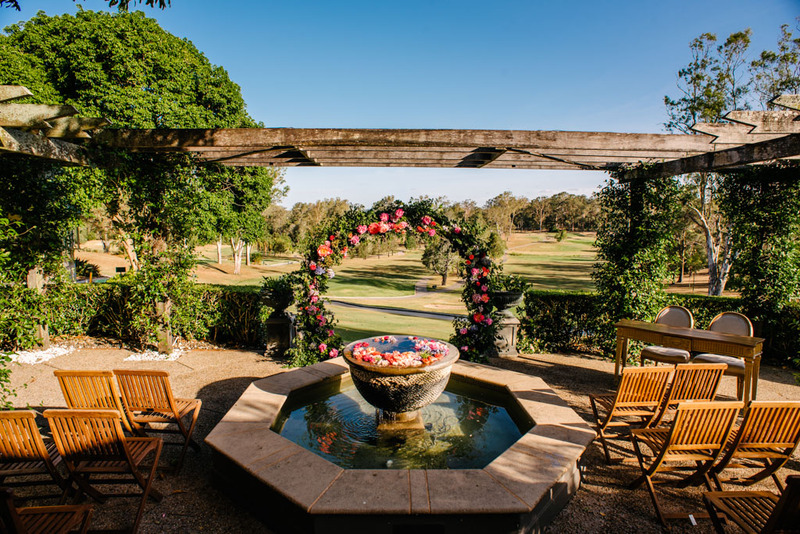 A lush floral circular arbour framed Hillstone St Lucia’s stunning fountain ceremony area where Caitlin and Lachlan beamed from ear to ear whilst celebrant Jillian brought vibrancy, humour and authenticity to their ceremony reading. 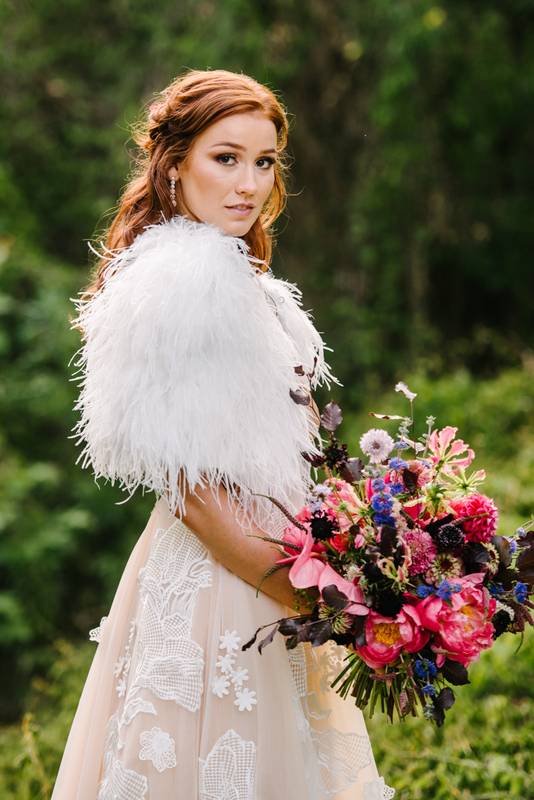 Caitlin's hair showcased stunning soft curls with a half up braid and makeup included golds and pinks with soft lips. 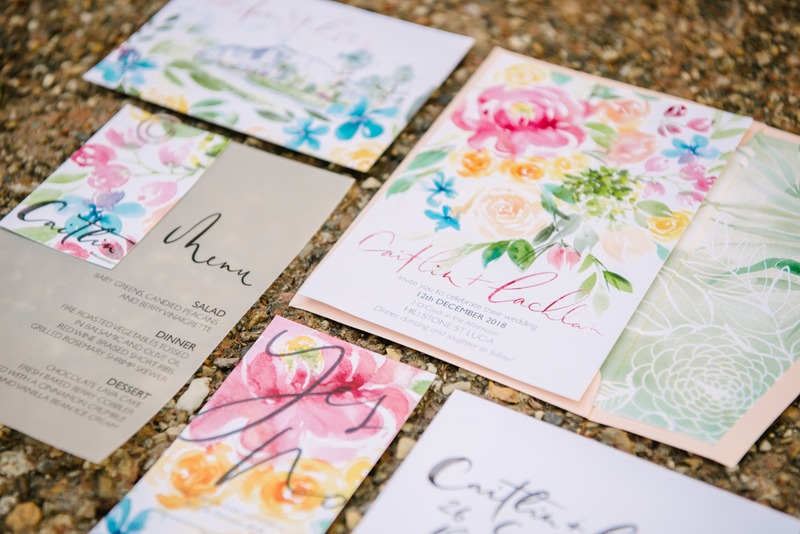 Colourful flowers were hand painted on the wedding stationery with a beautiful watercolour illustration of Hillstone St Lucia. 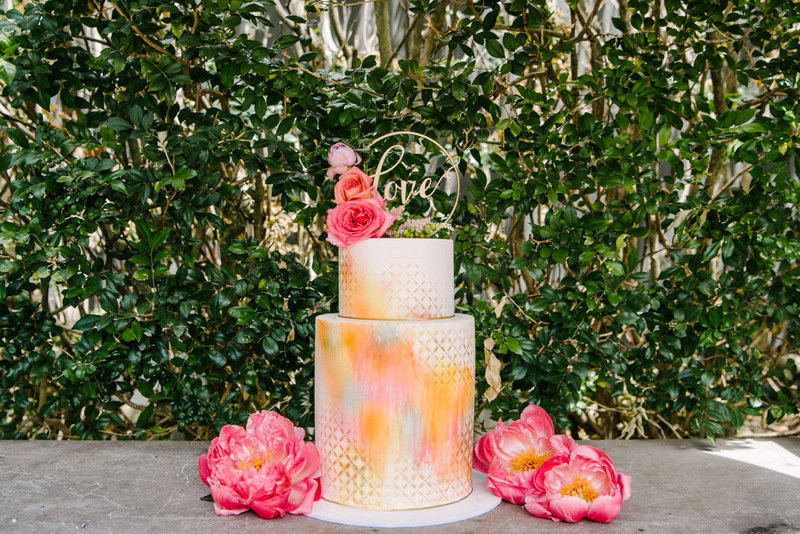 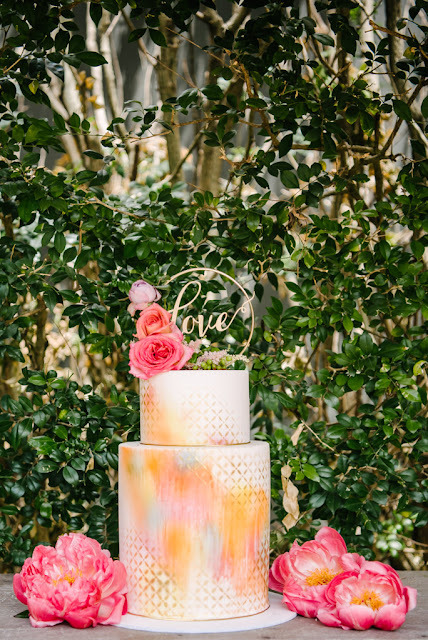 The two-tier cake incorporated a colourful artwork and gold metallic design. 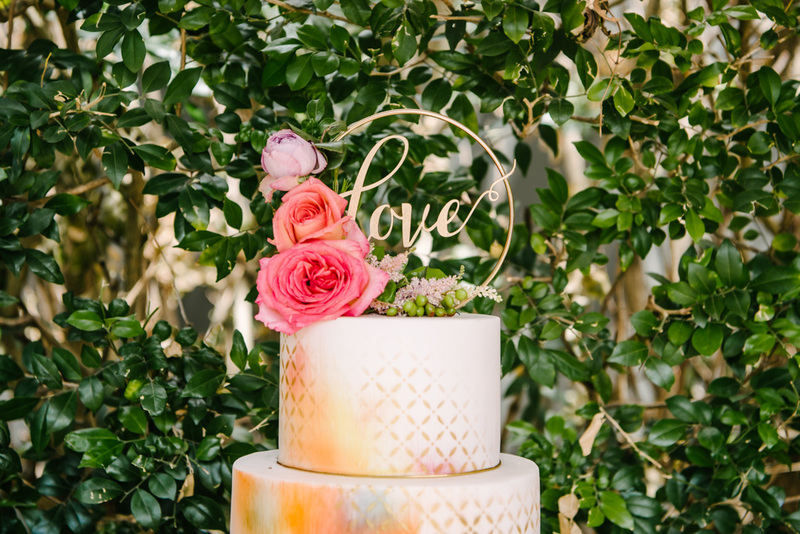 The cake topper included a gold circular shape to reflect the arbour. 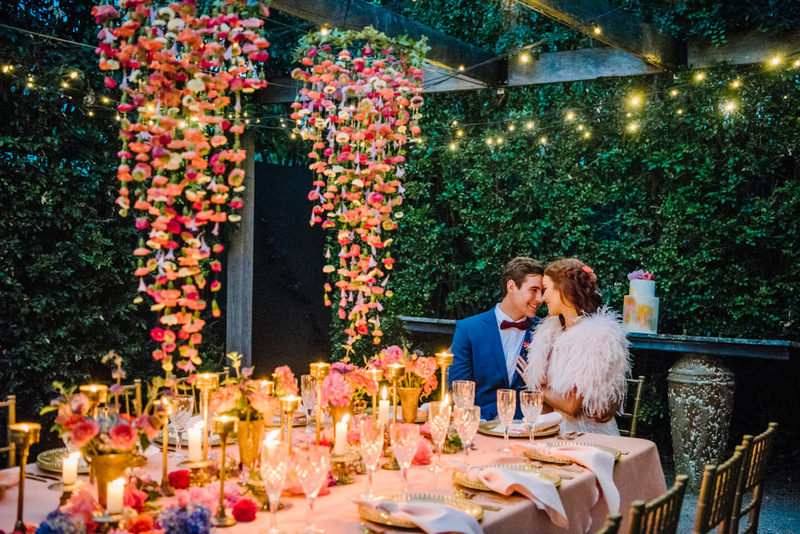 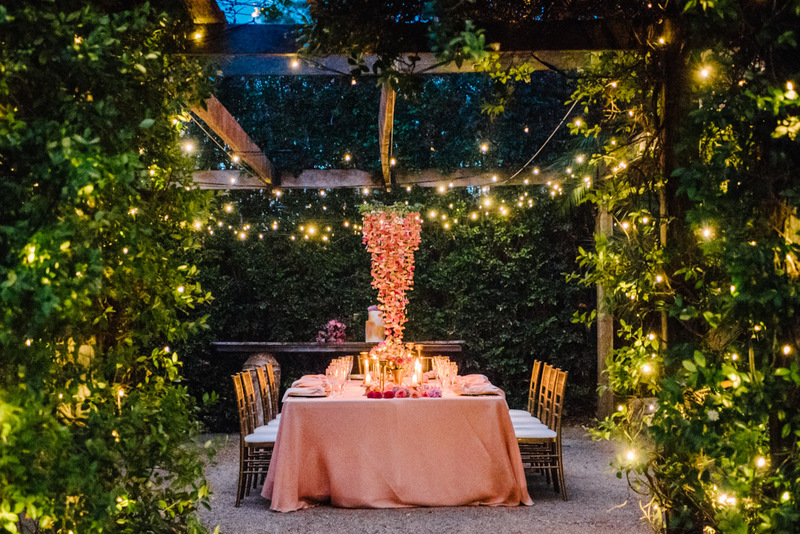 The styled Reception was held in Hillstone’s Courtyard under the stars, with two grand carnation chandeliers that hung over a long table adorned in a sea of florals. 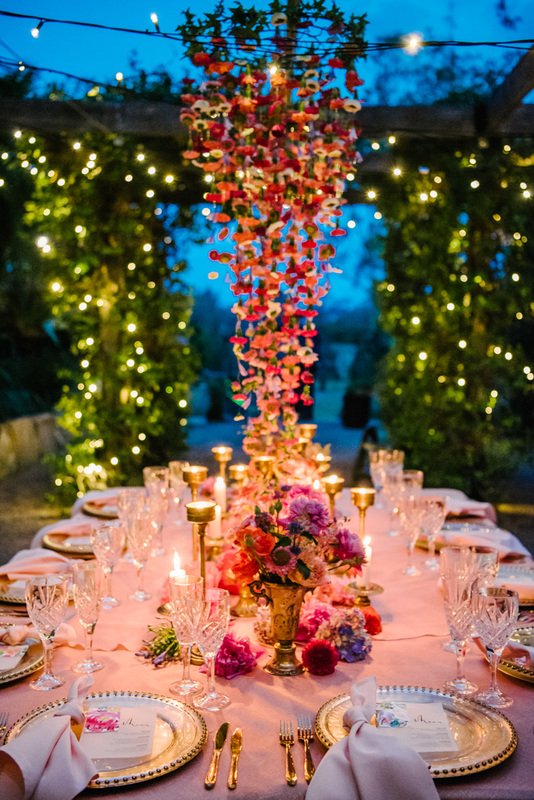 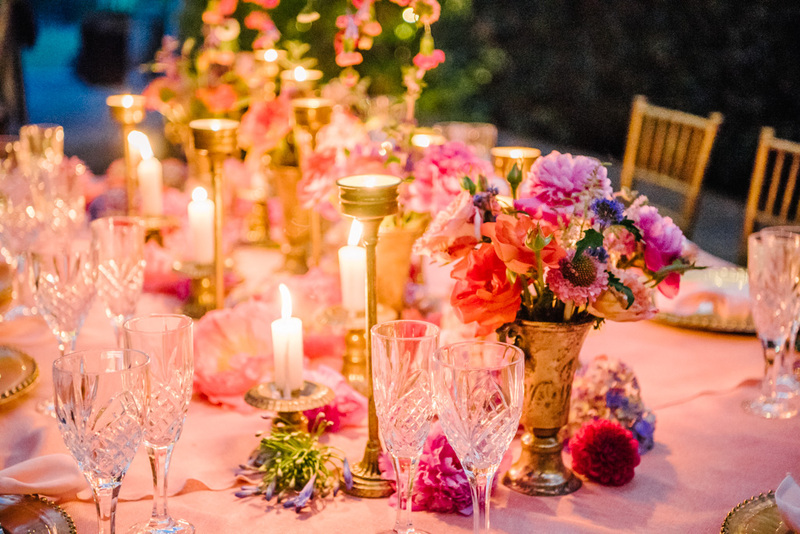 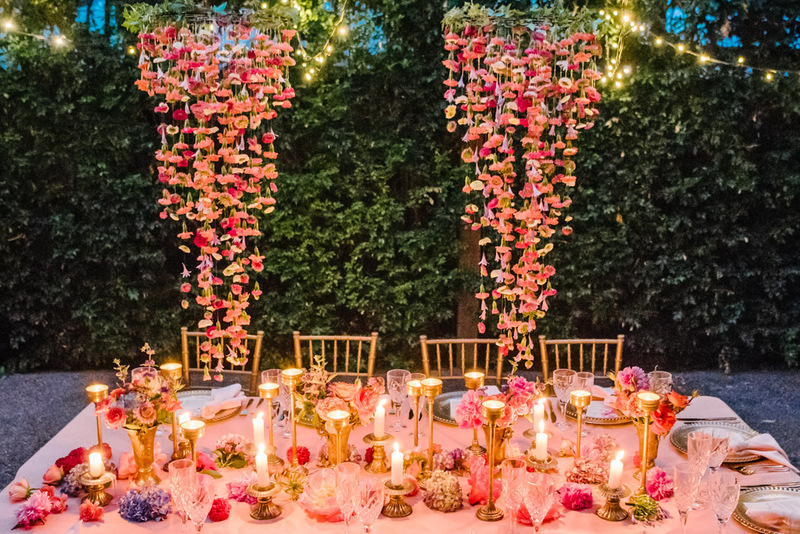 The gold chairs, candelabras and setting, shone beautifully amongst the colourful blooms. 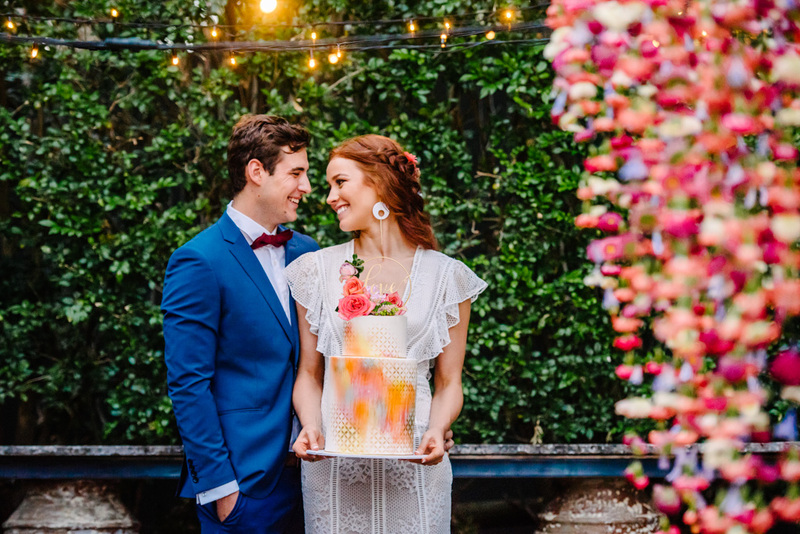 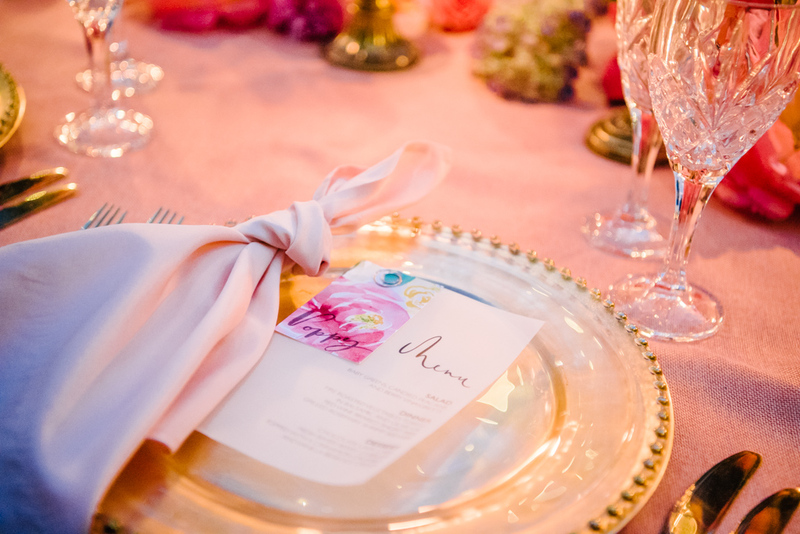 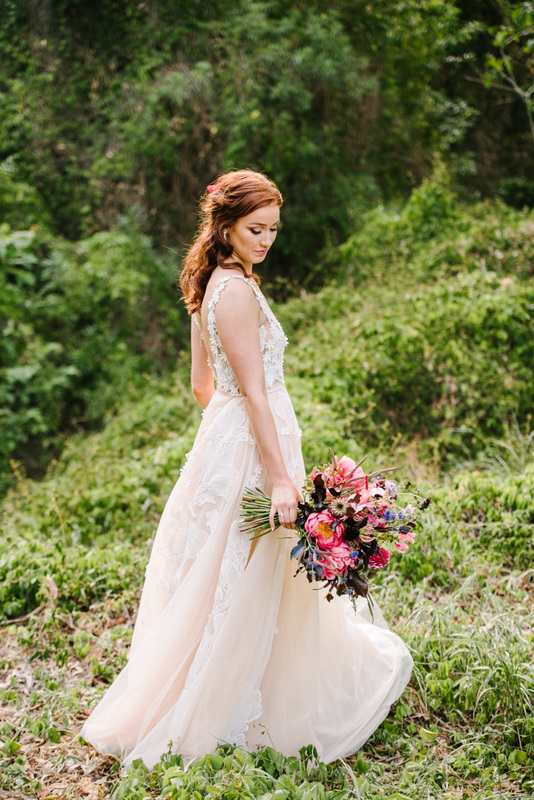 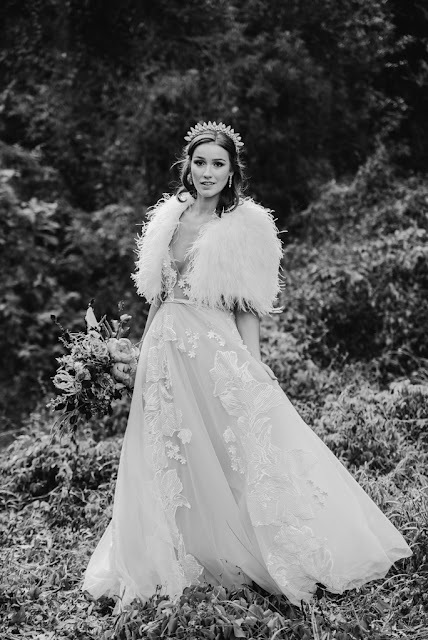 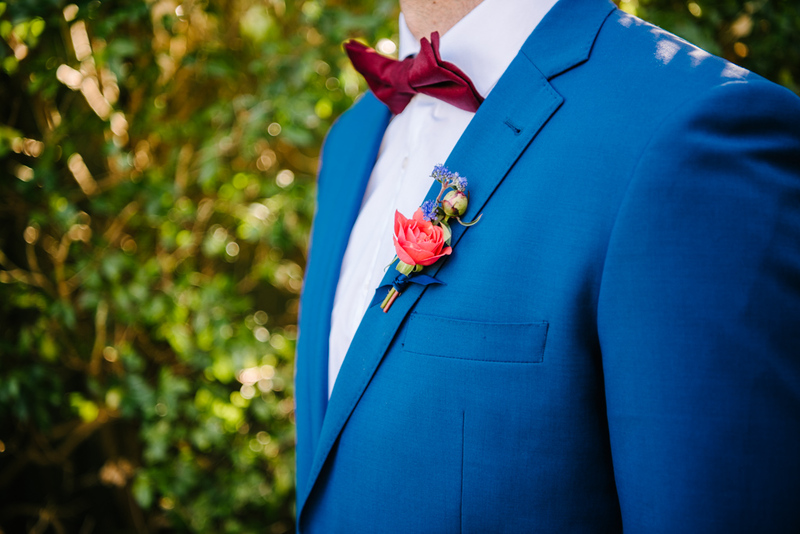 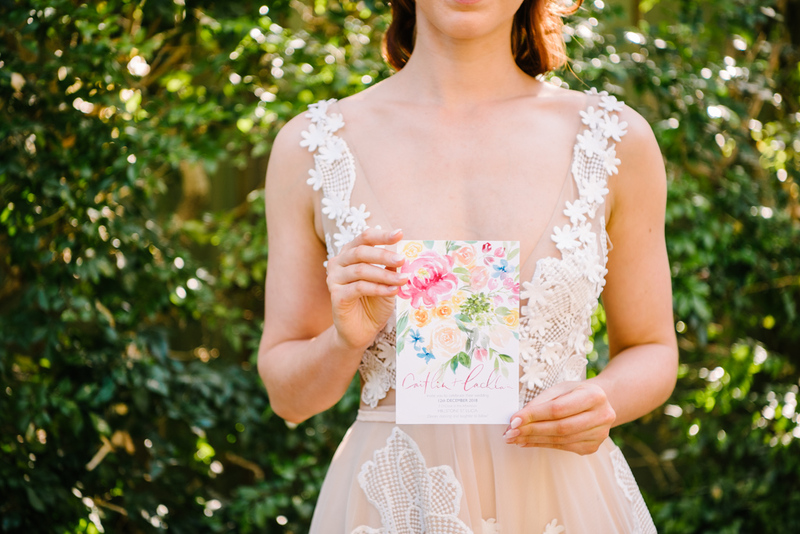 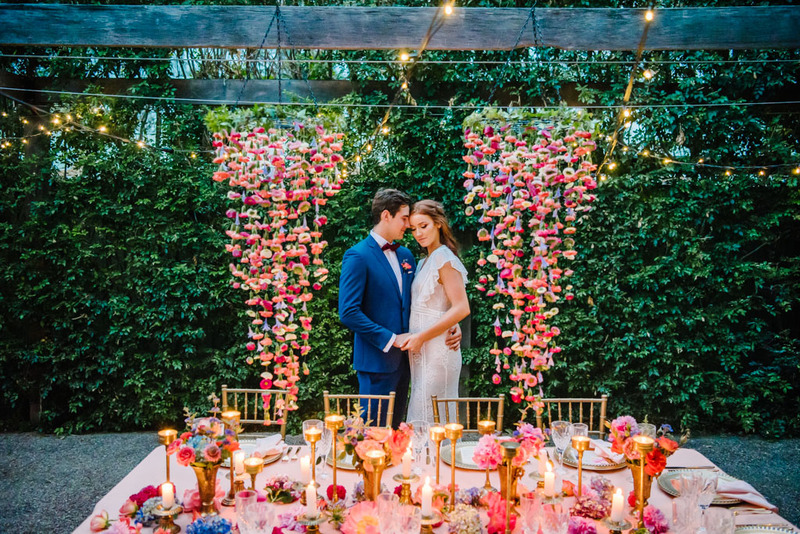 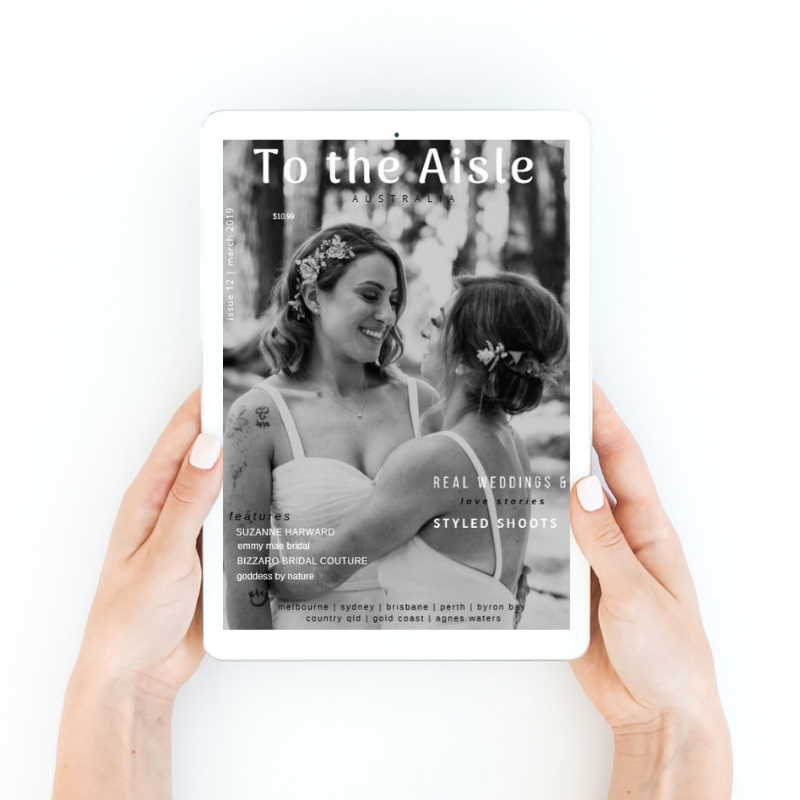 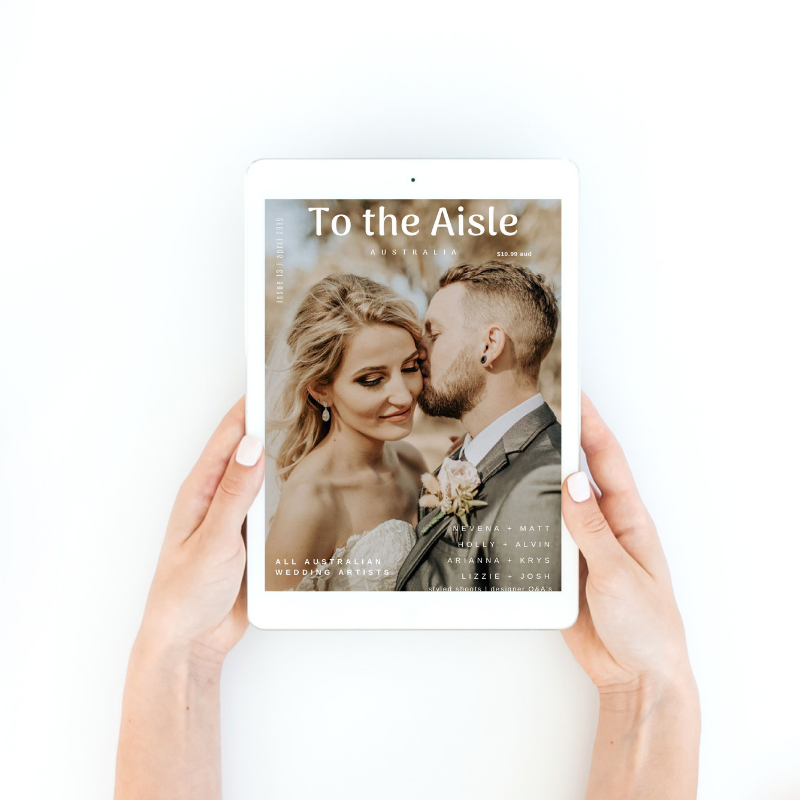 A stunning wedding collaboration of bright pops of colour to inspire the modern bride.